As the snow melts on the mighty Sawatch Range, the Arkansas River becomes the center of attention and action in Chaffee County. The Arkansas flows through the heart of Chaffee County, gracing the downtowns of both Salida and Buena Vista with her beauty and world-renowned whitewater, fly-fishing, scenery and river festivals. High water levels translate to the start of summer river rafting and kayaking fun up and down the county. The Arkansas River and specifically Brown’s Canyon is the most rafted area in the world. The great winter snows will make this rafting season one of the best on record. Memorial weekend officially kicks off the Whitewater season with PaddleFest 2011 and the BV Pro Rodeo. Not to be out done by the Granddaddy of whitewater festivals, the 63rd Annual New Belgium FIBArk, June 15-19, 2011. Around these two events, rafters, kayakers, river strollers and fly fisher-persons come to Chaffee County because it is the perfect river community. For rafting enthusiasts, Browns Canyon is sure to please as splashy class III whitewater winds through a dramatic canyon. The adrenaline junkie can head upstream to class IV-V sections like Pine Creek and the Numbers, where even the most seasoned boaters tremble in their booties. Or, if drifting in warm sun is more your style, try a mellow float trip. With more than 30 outfitters in the county, beginning May 1st, the rafting trip of your dreams can easily become a reality. For play-boating kayakers, both Salida and Buena Vista have world class playholes right downtown. For those who prefer dry land picnic and strolls, the river walk in Salida and footbridge in Buena Vista have beautiful scenery and trails to wind away the hours. Dropping a fly or line into the current more your speed? Indulge your need for solitude and sport on the cool waters of the Arkansas. Brown and rainbow trout lurk beneath stunning vistas and shady cottonwood-lined banks as the river sets an ambling pace from its headwaters near Leadville. PaddleFest 2011 and the BV Pro Rodeo, May 27-29, 2011 starts the summer whitewater boating season Memorial weekend in downtown Buena Vista. Join a pro kayaker for a freestyle clinic, take a guided tour on the river, participate in a ‘how to’ clinic, show off your skills in a fun kayak competition in the new river park or relax and watch live music and videos. The entire weekend will also promote awareness and raise funds for all aspects of the Buena Vista River Park. This includes trails, open space, river access, climbing boulders, and instream river features. This action-packed weekend of fun, educational activities, demonstrations, pro kayakers and camaraderie is for all ages and abilities. The BV Pro Rodeo will be the centerpiece of Paddlefest 2011 with the world’s top athletes battling it out on the new and improved Buena Vista River Park, Friday and Saturday. Winners will be crowned the king and queen of the Buena Vista Riverpark and will take home one of the largest cash purses of the 2011 Pro Rodeo circuit. For more information visit www.ckspaddlefest.com. The Granddaddy of all river events belongs to Salida, this year the 63rd Annual New Belgium FIBArk will once again draw international competitors and thousands of outdoor enthusiasts to the banks of the Arkansas in downtown Salida, June 15-19, 2011. This festival celebrates history, beer, wild boats, free music and mountain folk. Competitions in every aspect of boating is the history of the festival, but a parade, running hill climb, skate competition, new mountain bike race, Hooligan race, pancake breakfast and carnival are only a handful of the great fun that consumes Riverside Park in downtown Salida. A true local favorite, this is the oldest, most prestigious and perhaps toughest river competition in North America or the world for that matter! For more information visit www.fibark.com. 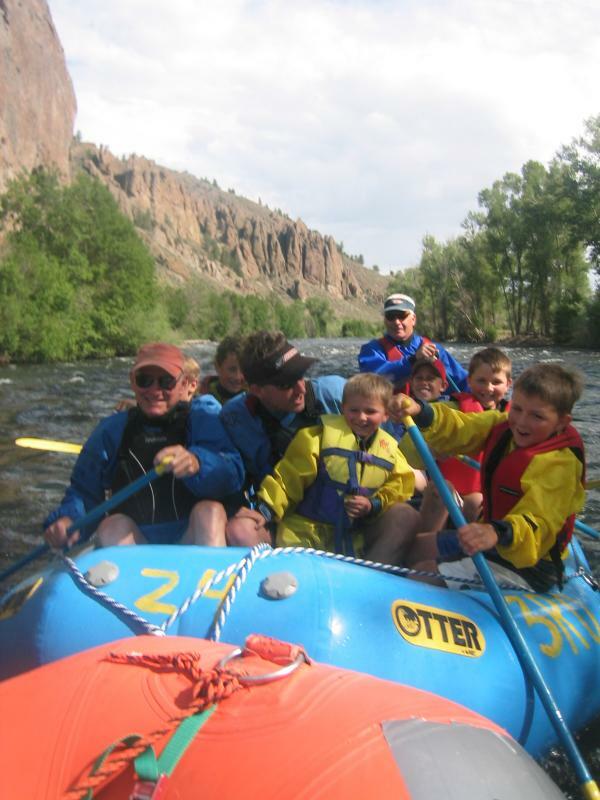 Whether you are rafting, kayaking, angling, hanging out at a festival or just relaxing by the river watching birds and clouds float above, the Arkansas and Chaffee County is the perfect place to enjoy time together or find the perfect antidote for the stresses of modern life. Chaffee County is located in Central Colorado, the Heart of the Colorado Rockies. As Colorado’s Headwaters of Adventure – it stars the small towns of Buena Vista, Salida, Poncha Springs as well as Monarch Mountain. Folks drawn here enjoy the welcome contrasts to the state’s more glamorous destination resorts. You don’t need the trendiest clothes or newest equipment to fit in with the locals. However, if you do have a thirst for adventure we have more than 100 miles of Arkansas River to raft, fish, float or kayak in. Twelve of the states 53, 14,000 foot peaks touch the sky here in Chaffee County. In spring, summer and fall Chaffee County is a mecca for the outdoor enthusiast. Visitors can choose from recreational activities such as hiking, biking, ATVing, kayaking, whitewater rafting, fly-fishing, camping, horseback riding, zip lining, swimming, tennis and golfing. Winter sports fans can enjoy skiing and snowboarding at Monarch Mountain, snowmobiling, cross-country skiing, snowshoeing and ice fishing. Year-around visitors in the “banana belt” can enjoy distinctive restaurants, unique shops, incredible art galleries and a large selection of antique shops in the historic towns of Salida and Buena Vista. 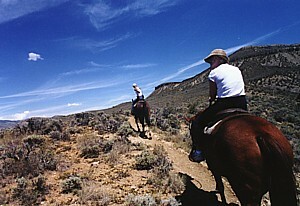 Lodging options range from motels to rustic inns, bed and breakfasts, hostels, beautiful campsites to guest ranches. For more information and a complimentary brochure, visit www.NowThisIsColorado.com.